Wynn Hotel Las Vegas has been at about 96 to 98 percent occupancy and garnered up to $80 more per room night from other Las Vegas hotel and casinos.has been at about 96 to 98 percent occupancy and garnered up to $80 more per room night from other Las Vegas hotel and casinos.Wynn Hotel & Casino Las Vegas has raised expectations in the high-end market and has definitely brought this segment to Las Vegas hotels. One of Cirque du Soleil’s shows Le Reve performs nightly. Wynn shares closed Friday at $76.11. This had risen 42.3 percent from $53.50 from the previous year. 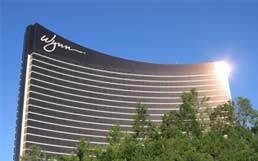 If you would like to work for Wynn Hotel or know more about the Wynn Las Vegas news and updates visit here for a Wynn Las Vegas job application. Wynn Las Vegas hotel unveils new Encore Las Vegas Hotel and Casino.